Many Greeks have taken up, on Facebook at least, the slogan, “Macedonia is one, and Greek”. For most, I know, this is an innocent affirmation of faith. We routinely demonstrate our loyalty by parroting pious untruths, the way good Orthodox and Roman Catholics recite every Sunday, “I believe in one Holy, Catholic, and Apostolic Church.” As dogma it is infallible. But as history, as geography, as ethnography, as politics, it is self-evidently absurd. This would have handed to Greece’s most deadly rival a diplomatic gift Greek aspirations could not afford. Remember, please, that the lion’s share of Macedonia would have been given to Bulgaria if a Wilsonian linguistic/ethnographic rather than military approach to partition had prevailed in 1912-23.Once Great Power politics and brutal ethnic cleansing had ended the Bulgarian threat, the Macedonia meme could evolve in Greek minds to become what it is now, a powerful weapon in fratricidal local politics. 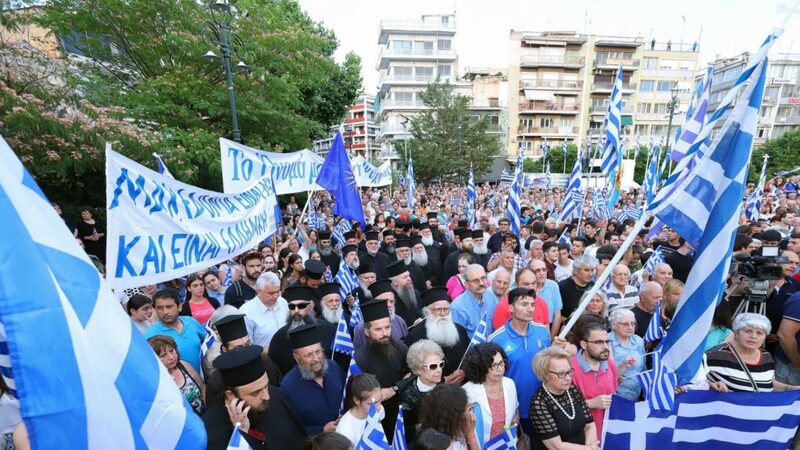 But not because the Republic of North Macedonia poses, now or ever, a threat to Greek territory or national identity. North Macedonia has instead been a wasted opportunity for Greece to have its first and only client state.The “success” Greek nationalists can look forward to if they succeed in defeating the Prespa agreement will be to have in a few decades the rotting corpse of a failed state on Greece’s doorstep. It was to gain a client state and avert the threat of a failed state that first Konstantinos Mitsotakis and now Alexis Tsipras bravely accepted the political cost of a compromise solution.Everywhere outside Greece’s borders, the Macedonia meme has evolved very differently than it has here. To impose its private abstraction outside its borders, Greece must first become a superpower. But is genocide – to eliminate the minds in which the offending meme resides – really necessary? Greeks have survived and flourished because they are capable of common sense. Even the most sacred and indivisible gets routinely subdivided every day in practice. So. My Macedonia is Greek, just as my Panagia is ever-Virgin. Your Macedonia, like your Panagia, may be otherwise. Brady Kiesling is a former political counsellor of the US Embassy in Athens who now lives in Greece.